Be it the 70’s, 80’s, 90’s…. Or the current decade if there was one accessory that has rules the runways and street styles are belts. Statement belts can instantly add a touch of chicness to your outfits have always been a wardrobe staple for every generation. Keep on reading to find out beautiful ways to sculpt that waist. 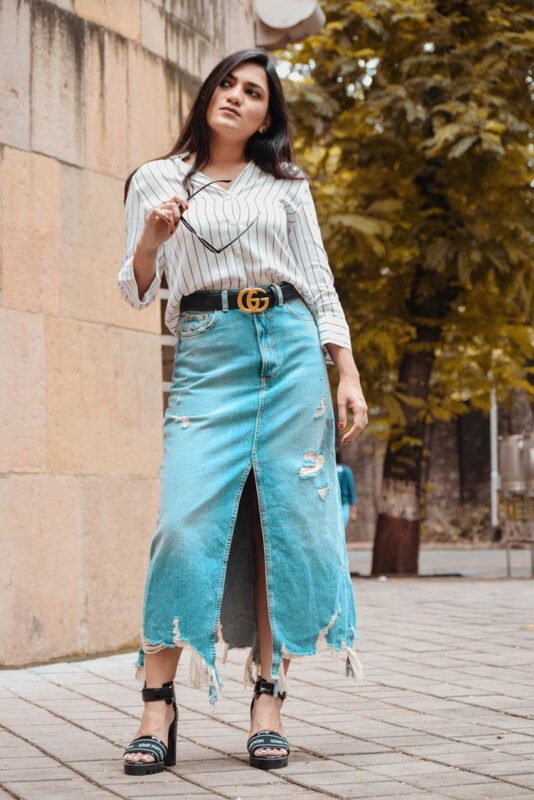 This Gucci belt, instantly became popular among fashion bloggers which actually brought the logo buckle style back into focus and is now the most popular logo belt in the luxury segment. If you are keen on adding an array of belts to your wardrobe then a silver buckle belt is another must as it instantly changes the tone of your look. A clever way to slim down bulky layers the wide buckle belt is the way to go. The long Nylon belt, among these the most trendiest comes from the hottest street style designer brand Off-White, an extra long, caution tape-like belt. Style this belt in different ways with your most casual outfits or as in the picture above with your smartest blazer and strut like a street style pro. 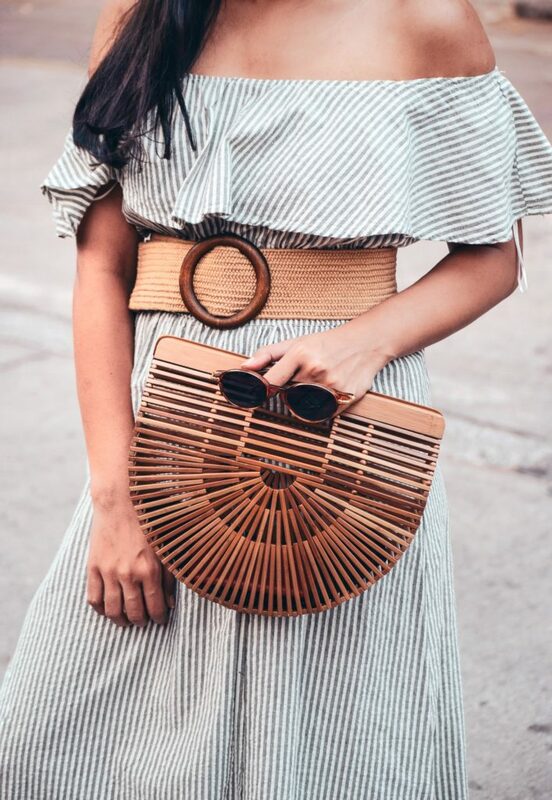 Blame it to the raffia and bamboo bags trend, influences of this trend were almost instantly seen in an array of accessories from wooden bangles, raffia based earrings to wooden buckle belts. Such belts are a perfect companion for your sundresses and summer vacay outfits. 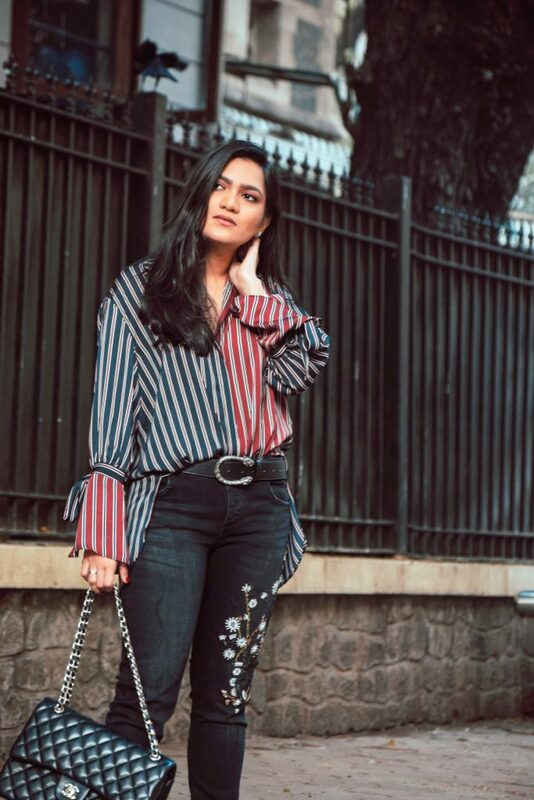 Made popular again by street style stars in 2015-16 the double buckle style came as a whiff of fresh air and instantly every other fashionista was sporting this belt. Easy to pair with you favourite pair of denims or boho maxi dress the double buckle western belt style is still going strong and is now even available in an array of colours.